Palm Sanders fall in the smoothening family. There are many Sanders out there. Examples of these are the belt sanders, orbital sanders, and random-orbit sanders. For today, our primary focus will be determining the best palm sander to help guide in buying this product. In this article, we’ll be learning how to distinguish palm sanders from other types. More importantly, we’ll also discuss the proper applications of each sander. That will give us a clearer idea on how to use it, which in turn will make for a better investment! Some of you here might think of getting a palm sander without actually knowing it. It’s pretty much a typical case, considering that other types of sanders are very confusing. However, depending on your project, you’d have to know what type you’ll need. Using a wrong kind of sander can damage your project, making it worse instead of polishing it. Random orbital sanders can be confused with original palm sanders. That is because the palm sander became its sort of the second name. The reason for this is because of two subtypes that fall below it. As you’ve guessed, the subtype palm sanders get their name because you palm the sander with your hand. On the flip side, the other palm sander that we’ll be discussing is the same in this regard. On the other hand, Pistol Sanders have a design that is similar to a gun. Thus, it has a snout and a handle, with the sanding pad attached to the muzzle. So, why is it also called random orbital sanders? Well, to begin, it’s important to be aware that there is a type called orbital sanders. These are the tools that go in circular motions but are limited to it. 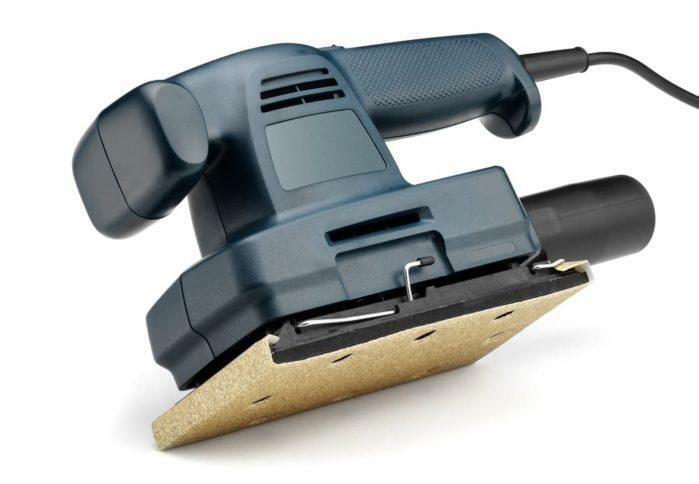 With the random orbital sander, you’ll have more freedom on how to manipulate the sanding pad. That is because not only does it go in circular motions, but you can also go freestyle with this product. It’s great all around because of its versatility. Now we’re here on our primary focus for this article. It is the actual palm sander type, not the previous one we’ve discussed. Now, you might get confused already, but the best way to differentiate this from the random orbital one is to look at its sanding pad. Random orbital sanders are strictly limited to circular sanding pads. On the contrary, palm sanders have boxed sanding pads which give it its uniqueness. Moreover, these palm sanders are also known as a finishing sander. That prevents further confusion. So, what’s the use of this square shaped pad? 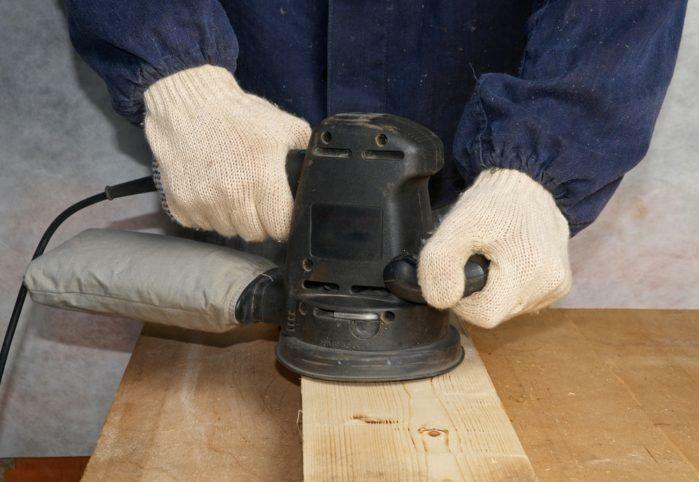 The palm sander is primarily used to smoothen complex projects that have tight spaces, edges, and corners. This square sanding pad helps you reach corners because you’re working with a pad that has edges as well. With that said, it’s also used single-handedly with one hand, thus its name. Buy the palm sander if you’re looking to work on projects such as cabinets, desks, countertops, and even automotive to some degree. Belt sanders are the last on our list, and it’s also the most powerful. These sanders are the monsters of the sanding family, and that’s because it’s designed to meet industrial standards. To begin explaining the belt sander, it starts off with a large housing that’s as big as chainsaw’s housing. It works by having a set of pulleys that help operate the belt. These pulleys motion the belt which is almost as wide as the body. Thus, it smoothens a larger surface than the others. Because of its heavy build, the belt sander’s motor is the strongest. The body itself measures between 18-21 inches depending on how big the belt sander is. On the other hand, the sanding pad reaches a minimum of 3 inches in width. Coupled with the full belt-type sanding pad, it polishes sturdy material in an instant. This kind of heavy-duty machine is best for professionals who handle large-scale projects with full bodies. However, its main weakness is it doesn’t reach tight spots at all. Thus, the palm sander greatly complements the belt sander. Dewalt is a staple in manufacturing power tools and other industrial equipment. It’s arguably one of the most famous ones out there. When it comes to its palm sander,Dewalt boasts a complete set. This palm sander set gives you a lot of benefits such as reduced vibration, dust collection system, and more. One of the highlights of Dewalt’s product is the overall design. If you look carefully, the product has reduced height. That allows the user to get a closer look on the workpiece. The best thing here is that it has gotten smaller, but the power and efficiency remain! Makita’s Finishing sander looks sleek in its paint job along with the heavy-duty case that comes with it. 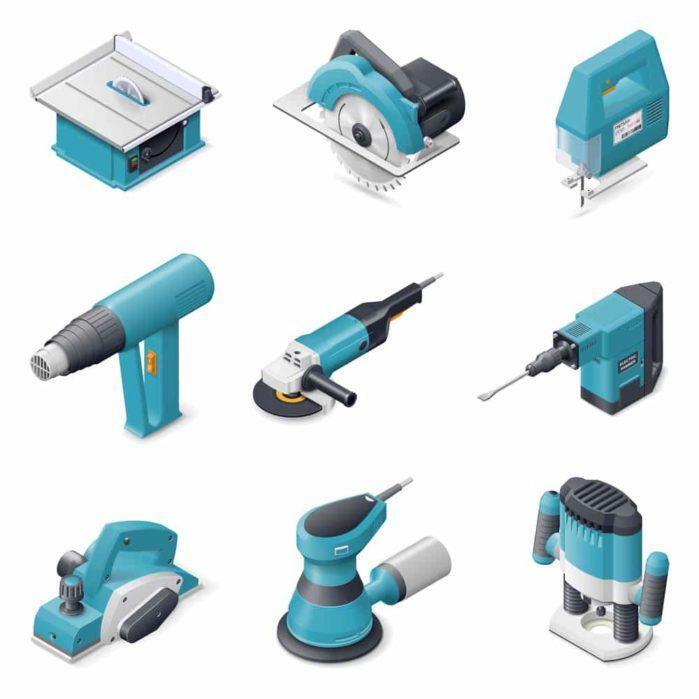 Makita, a long-time company in industrial equipment, gives utmost importance to the design and engineering of this product. One of the main features that you’d want to look at is Makita’s all-ball bearing construction. This engineered bearing primarily focuses on efficient sanding, but with reduced noise and vibration. It gives you maximum comfort and efficiency when sanding. With this sander, you’re guaranteed to use it comfortably with only one hand thanks to its newly designed grip. The rubberized grip is contoured to fit in your palm, giving you better control and comfort. Hico enters our list with its versatile and light orbital palm sander. Although not necessarily a real palm sander, it deserves credit because it functions similarly as one with excellent performance. It weighs only 3.2 pounds, which makes it light and very ergonomic to use. That is an essential for any palm sander since you’re dealing with delicate surfaces of various projects. Moreover, convenience is a key here for Hico’s palm sander. It comes with a dust bag made from cloth, which will quickly catch sawdust should you be working on a wood project. Overall, you’ll get efficiency and practicality with this palm sander! Porter Cable is another known company when it comes to manufacturing power tools. Their orbital palm sander presents a sleek gray matte finish with a black dust collector. One of the best-selling points of this product is how it prioritizes the comfort of the user. Porter Cable engineered their sander by giving it a dual plane and counterbalanced design. The combination of these two features significantly reduces the vibration in the palm sander. As an effect, Porter Cable proudly states that this reduced vibration will lessen the overall fatigue of the user. Black+Decker boasts their tri-colored palm sander with rubberized handles and a top-notch dust collection system. This dust collection system looks to be the best one by far, as its material quality resembles that of a radiator in cars. Besides the aesthetics, Black+Decker’s sanding receives high marks in performance. 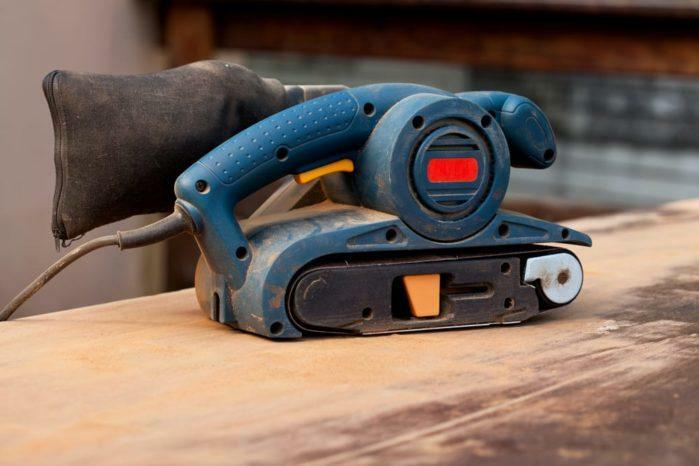 It gives you a 270-degree clearance when sanding, which gives it a lot of versatility. Furthermore, the soft grip paddle switch of this sander provides a good feel which increases precision. Besides the radiator-like material, it also has a triple layered filtration system which ensures a clean working environment. Now that we’ve reviewed all five products, hopefully, you have already decided on what’s best for you. Each product has its benefits and disadvantages, the keys here is to know how you’re going to use the product. Will you be using it for small projects only? Or are you planning to use it in bigger projects like that in automotive applications? Still, if we’re to judge overall power, efficiency, convenience, and durability, we’d give it to Makita’s finishing sander. Makita’s sander has a good rubberized housing that prevents the buildup of sawdust. Further, its dust collection system coupled with its sanding capacity makes this the best all-around sander in our list. Feel free to comment if you have your winner! Remember, the important thing is to know your preferences and do research. Good luck!